Offering hands-on coaching for kids ages 6-16, proceeds from the annual camp will benefit the Thielen Foundation. 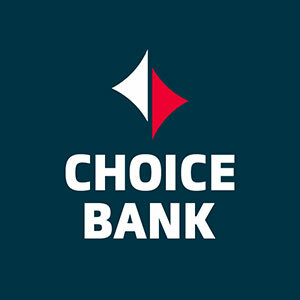 Dedicated to helping those in need reach their full potential. Photo By Joe Lemke/Something Candid. Adam Thielen is an American football wide receiver who plays in the NFL for the Minnesota Vikings. 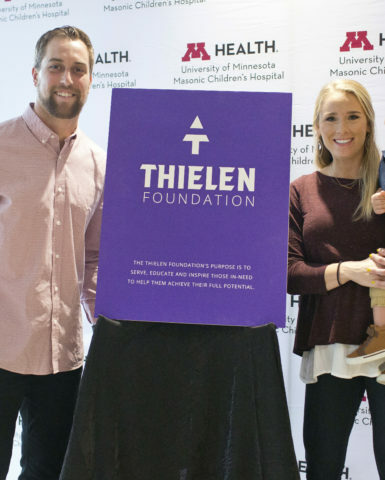 Together with his wife, Caitlin and son, Asher, the Thielen Foundation has been formed to help serve, educate and inspire those in need. 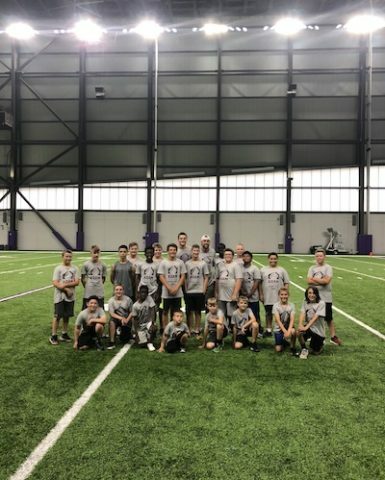 With an overarching theme on youth development, the Thielen Foundation aims to create programs that will equip and empower kids to reach their full potential in life. 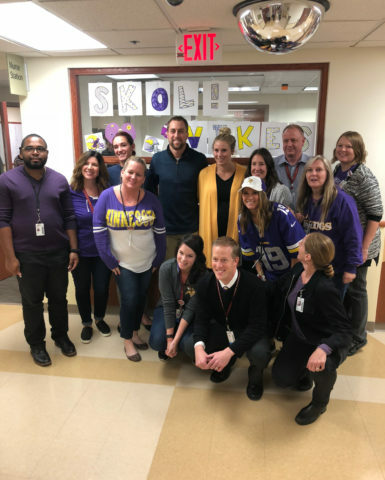 A behind-the-scenes look into the Thielen Foundation. When we first learned about the Behavioral Health Unit, I was moved by how impactful wellness programming is to the care, experience and future success of these patients, especially yoga. I love yoga and I can relate to the calm and well-being created by the practice. We know that not everyone was given the same opportunities to participate in sports and activities that we were. And the sports and activities helped us grow & develop into the people we are today. So, our family feels compelled to give back to the great state of Minnesota. Adam and Caitlin are moving the chains to make a difference in lives of children in Minnesota and the Upper Midwest. 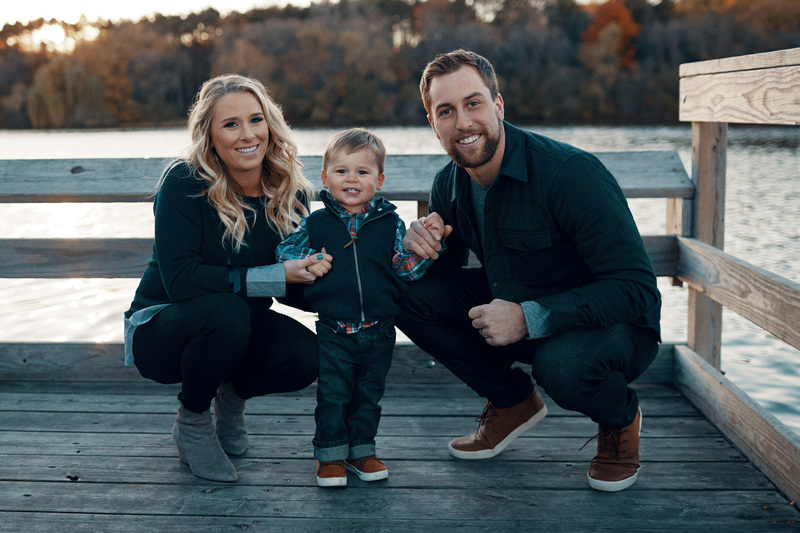 We have always been impressed by Adam’s dedication to excellence on and off the field, and today (Sept. 18) the Thielen family is making an even bigger commitment to the community. As our partnership grows with Masonic Children's Hospital, I hope to get involved with yoga programming and help create educational materials to aid in instruction as well as provide Thielen Foundation yoga mats and resources to make sure every patient has access to this incredible wellness tool. Caitlin and I are extremely excited to be launching the Thielen Foundation! We both share a life goal to give back to the community that has given us so much over the years. We are looking forward to partnering with organizations like the University of Minnesota Masonic Children’s Hospital and other key partners who share in our mission to serve, educate and inspire youth to reach their full potential in life.